Home > Football > AS Roma’s Miralem Pjanic … Meet the NFL? 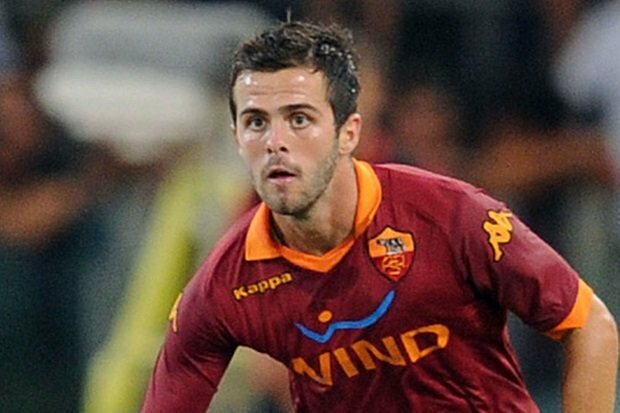 Which football does Miralem Pjanic of AS Roma really want to play? His name is all over the news for the goal he scored this afternoon in a match that AS Roma lost 3 – 2 to Manchester United in a club competition held in Denver, Colorado. His boots were also heard at the Denver Broncos facility this week, when AS Roma got a chance to play some pre-season Italian Serie A matches to prepare for their season (Their schedule will be announced Monday, July 28 for the upcoming Serie A 2014-15 campaign. The event began when Coach John Fox and Coach Rudi Garcia exchanged gifts and handshakes, and Francesco Totti posed for the camera holding his jersey. Coach Fox held an AS Roma Plaque, while Coach Garcia held the #14 Broncos jersey gifted to him by Coach Fox. Danielli De Rossi tried on U.S football pads for the first time in his life with a helmet to fit. That’s about the time the field goal kicking crew for the Broncos broke out their place holders, and footballs began to fly. Only this time it was AS Roma midfielder Miralem Pjanic, a soccer player who just appeared in the World Cup in Brazil for Croatia, stepping up and making the most of the opportunity. With the frame set at the 35-yard line, Pjanic took four steps diagonally back, unlike what we see in the NFL when players take 2 turns and lock a formation. While wearing common tennis shoes on grass, his kick was free and easy. He easily knocked the 35-yard attempt, so they backed him to the 45 yard line and he made it look just as easy. 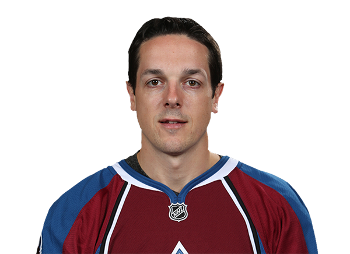 Then they backed Miralev up some more just past where he was smacking home 50 yard field goals like he had been doing it all his life, but this time it was with an NFL football and not with a European Football, or soccer ball (as it’s referred to in the United States and Australia). Today in the European version of Football, in a competition called the World International Champions Cup, AS Roma met with Manchester United. Wayne Rooney also stole plenty of the spotlight with 2 goals and an assist all in the first half to give Man U. a 3 – 0 locker room lead, which they barely held on to in a 3 – 2 victory over AS Roma. Roma’s first goal — in the second half to make the score 3 – 1 — was the moment all Bronco fans who saw the footage of Pjanic’s 50-yard field goals would appreciate. The Goal keeper tried to recover and slide back in to the goal mouth, but it was already too late by the time he realized that Pjanic was taking a shot not just clearing the ball out of his own zone. He was making a 59 yard attempt at the goal and you could not have centered a ball in distance from the cross bar, to the while line and left to right, that ball landed right in the clown’s mouth and would arguably be perceived as one would react for a hole in one in golf. The celebration did not need to travel far, since he was already standing well on his own side of the field. No one could believe that all that practice kicking footballs 50+ yards on an NFL practice field just one day earlier would result in this moment on the soccer field the very next day. 101GreatGoals.com already has the video up for the Pjanic goal …. When Football and Football collide, this is what you get! At least now Miralem knows he has a second career in the NFL if he wants one!